The project targets participants from an isolated rural area, who may face barriers to accessing education, training and personal or professional development opportunities. “Petroc Go offers these learners real world experiences, which for many would otherwise be unattainable,” explained Ellie Silwood, the project manager. More than 160 learners from a range of courses, including sports, hair and beauty and catering, have benefitted from taking part. 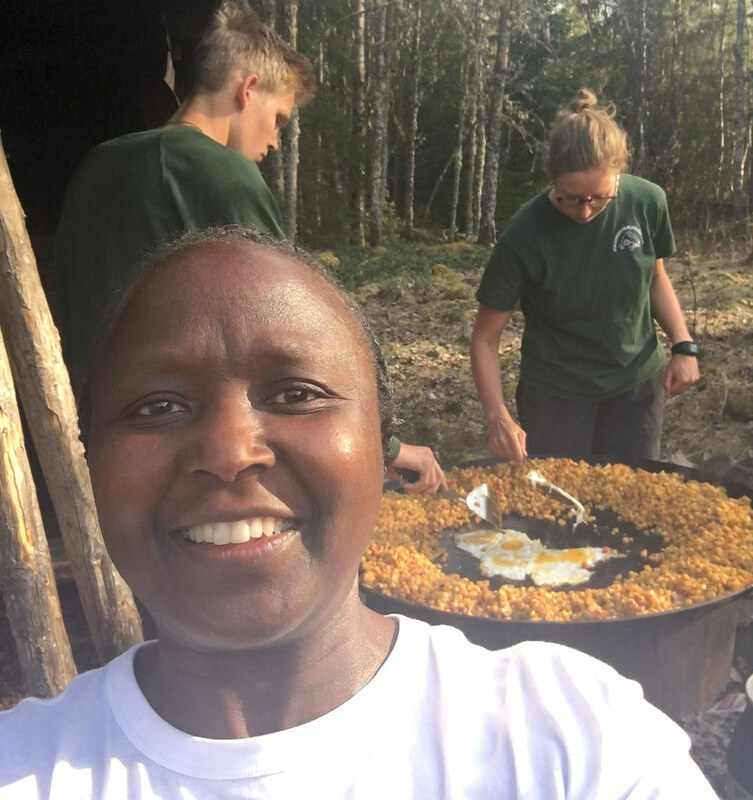 One of them, Maggie Palmer, was studying to become a teaching assistant and spent time in a remote location in the Swedish forest experiencing the benefits of outdoor learning. After her first-hand experience on placement at a Swedish primary school she was able to bring these activities back to the UK. “The outdoor activities were the most exhilarating and enlightening for me," she said. "For example, I learned how to make paint from natural resources such as grass, chalk and various red berries and used these to paint pictures. Such great ideas that I could use in my school in the future. A major outcome for learners when they return from their time abroad is increased confidence in their own abilities. Pollyanna Dennis spent time in Stockholm, where her group organised city tours, as part of her Travel & Tourism Diploma. “In Sweden, I surprised myself by how confident I became. We had to talk to bus drivers and organise all the trips – I wouldn’t have done that before I came to college,” she said. Whether it’s team working and communication skills or a more positive outlook for the future, the benefits for learners are unmistakable. One learner, Anna Buck, returned from her forest school experience in Sweden with the ambition of setting up her own nursery. This came to fruition earlier this year when she opened Muddy Boots in Northam, which is now offering outdoor learning to the children of North Devon. Petroc’s Volleyball Academy also came back from their Erasmus+ trip to Austria, having had access to international level coaches and facilities, and both the men’s and women’s teams won gold at the Association of Colleges Championships. Rita Sampson, Department Manager for Lifestyle, Care & Foundation Learning, sees the benefits for students across her department. "The boost our learners get from their time overseas is huge," she said. "Living independently and learning new skills really helps them to understand what they are capable of and sets them up brilliantly for their next steps - whether that is a higher level course, a job or university. The college was also recognised for its good practice in catering placements for students with learning disabilities and difficulties, many of whom face barriers to accessing training and work experience. The motivation and resilience our students and staff develop through their time abroad has led to better qualification achievement all round. 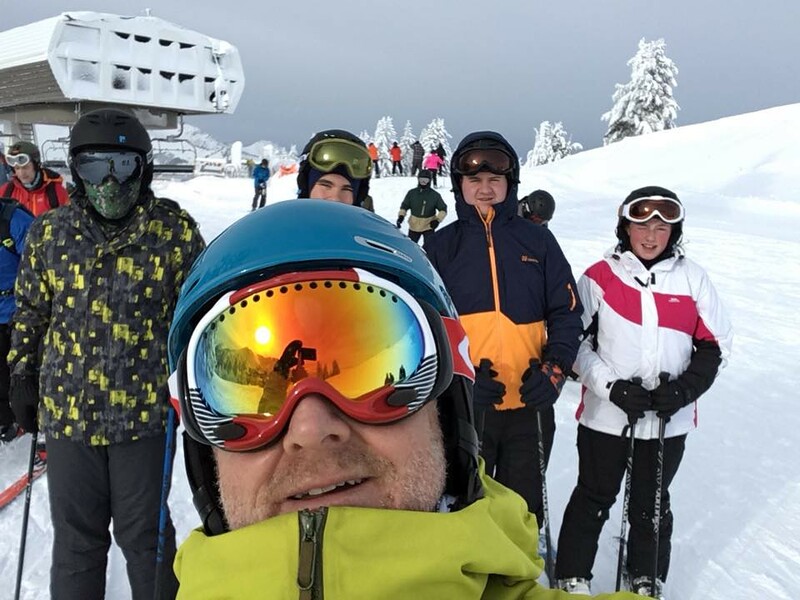 The students returned with increased knowledge in catering, experience of working with others and improved communication, as well as independent living skills, as many had never spent extended time away from home before. “All learners went on to undertake or complete an internship and 50% eventually found paid employment, which is well above the national average of 6% for disabled people gaining employment,” said Ellie. It is not only the learners who benefit from Erasmus+ activity; staff have also seen big impacts. “Petroc Go also allows our staff to broaden their own horizons: some staff have applied for their first passports in order to travel with and supervise our students, and all get the chance to see how the European workplace can be different from the UK,” Rita said. “Our early years lecturers now regularly get to see forest schooling in action as they accompany our students and our health and fitness staff have built a strong and fruitful relationship with their Dutch counterparts, which allows them to share best practice with each other and develop the curriculum accordingly. “The motivation and resilience our students and staff develop through their time abroad has led to better qualification achievement all round. With more than 25 years’ experience delivering European mobility projects, Petroc’s Erasmus+ activity continues to grow and the college is currently working with 10 European partners. “I think it’s important for students to have the opportunity to take learning outside the classroom wherever possible and these extra-curricular activities help bring our courses to life,” said Diane Dimond, the college's Principal. Want to know more about funding for colleges? Take a look at our VET funding page!